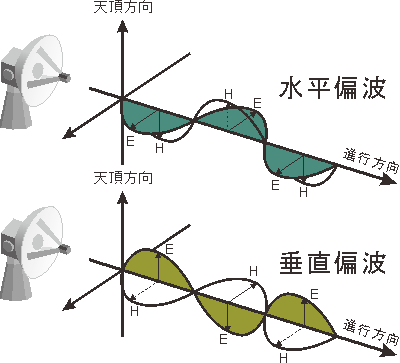 MP Radar is an abbreviation for Multi-parameter Radar. The conventional meteorological radar observes raindrops only in the horizontal direction, whereas the MP radar can observe raindrops stereoscopically and finely from two directions: horizontal and vertical. 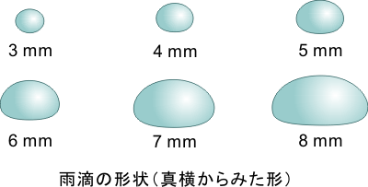 Raindrops falling in the atmosphere become flattened due to the influence of air resistance. The degree of this distortion becomes larger as a raindrop becomes larger, and it becomes like a hamburgerbun. Since raindrops in the atmosphere have such a flattened shape, there is a difference between observation in the horizontal and vertical direction. For example, in the case of rain with large raindrops, the observed value in the horizontal direction is larger than that in the vertical direction. Taking this phenomenon into consideration, the MP radar can observe the particle size distribution of rain by making use of the characteristic of raindrops that get more distorted as their size become bigger.